The delicate innocence and fanciful detail of Cicely Mary Barker's Lavender Fairy combine a lifetime's study of flowers and children with a charmingly exuberant imagination. As a girl, Cicely suffered from epilepsy and spent hours in bed with her condition. Through correspondence courses, and later, classes at Croyden School of Art, she perfected the whimsical drawings of her childhood into detailed postcards and illustrations that captured the imagination of romantics throughout the world. The success of Cicely's first Flower Fairies book in 1923 led to a series of seven books. Each illustration is accompanied by a song, poetically linking the natural characteristics of the flower with the fantastic persona of the fairies. 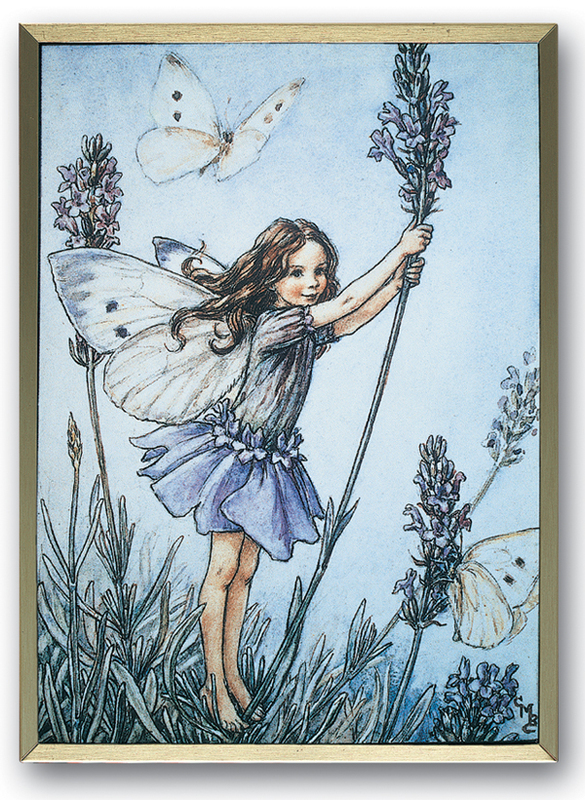 The Lavender Fairy is loved by bees and butterflies, and is herself the personification of harmony and joy.